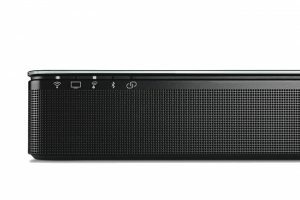 The Bose Soundtouch 300 is the dawn of a new generation of sound bars – with the ability to use wifi and Bluetooth and coming with multiroom functionality. Additionally, it can be extended with rear speakers and a subwoofer. Wireless mode is, naturally, limited. One cable connects the sound bar to the TV and another cable is for power. There are three different sets available for the soundbar, though: The most basic set comes with the sound bar only. Depending on the desired sound intensity you can order additional rear speakers and/or a subwoofer. For this review I used the simple option without extra speakers. 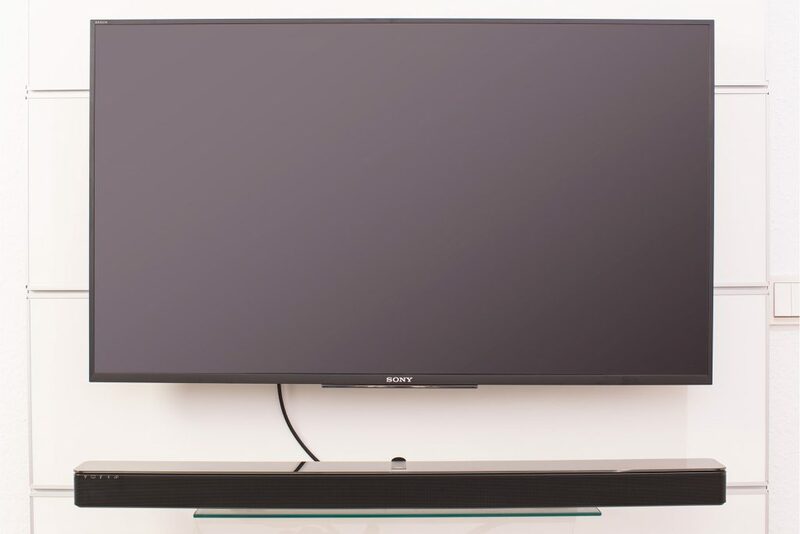 The surface of the sound bar feels quite valuable, because it comes with a black glass top – nice! Typical for Bose, the sound bar is wrapped very carefully. I had lots of fun disrobing all the components from their neat little bags. The sound bar came with much more equipment than I had expected: Other than the sound bar itself there is also a high quality HDMI(Arc)- and Toslink cable included. And there is a microphone in the box, which can be mounted on the head for calibrating. This looks somewhat ridiculous but is really practical, more on that later. What I found most surprising is the universal remote. I was used to rather simple remotes from other Soundtouch products and this one is really different. It is rather large, but it offers many useful buttons and the buttons for choosing the device are even illuminated. After having unwrapped everything it is definitely a good choice to look for the quick start manual. Without it you are basically screwed. 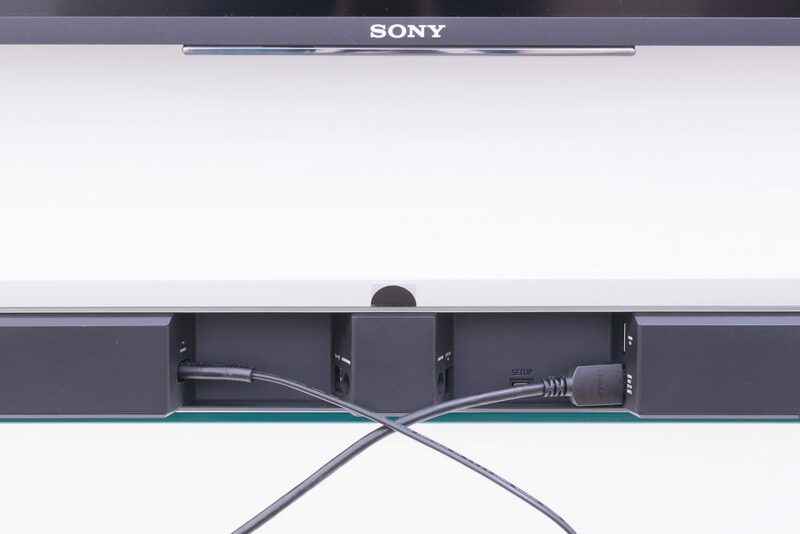 Basic wiring is simple and leads to immediate results: Just connect the soundbar either with the HDMI or the Toslink cable. But watch out – there are two HDMI slots, one input and one output. The included HDMI cable is supposed to go in the ''HDMI Out to TV'' point. There should be no problems with that. I definitely recommend HDMI, because it offers more communication features – if your TV supports HDMI-Arc (Audio Return Channel). This is usually only available in recent devices. With an older TV you should use the included fiber optics cable (Toslink). I was using a 43'' Sony Android TV with most recent hardware – and to no surprise the TV and the sound bar harmonize perfectly. Back side with HDMI and power cable. The tag in the middle can be removed! The TV instantly recognized the sound bar as a sound system and started playing back sound through it. I could even directly control the sound volume of the sound bar with my Sony remote – how convenient! Now it is time to calibrate the sound bar. At this point the previously mentioned manual comes in useful. For all too lazy to read, here's the short version: Press the SoundTouch symbol on the Bose remote (note symbol) and then hold number ''8'' pressed until you can hear a friendly female voice. She will lead you through the calibration, which has been realized noticeably well. The well-sounding lady will ask you to put the microphone on your head and then to sit or stand in five different places where you will later listen to music or to the TV. She will complain if you move too much, so better stand still! Then again, she will also complain if you do not change your position. The test sounds can apparently locate your position in the room quite precisely. After I had fun calibrating the sound bar, I decided to configure the universal remote. A separate manual describes how to save the TV's device code into it, which is really easy: Just switch on the TV, press the desired button (which is the TV symbol) on the Bose remote and then type in the five digit device code. The code for Sony is 00000, other common codes are: LG – 0511, LOEWE – 00442, Panasonic – 00051, Philips – 00081, Samsung – 00060, Sharp – 00093, Toshiba – 00156. This can also be done with other sources, such as a satellite receiver. I am using the DVB-C receiver integrated in my Sony TV, therefore I am done with setup here. Now I can also use the Bose remote for my TV and I can even program the remote to switch on a second device, such as a sat receiver, when the TV is switched on. Although this is a really useful remote, I would have preferred to also have some basic buttons on the sound bar. It is not even possible to turn the volume level up and down – a great pity! There is one thing I haven't tried so far – having the speaker play back music from my smartphone. This can be done either via Bluetooth or via Wifi. Bluetooth can be set up faster, but Wifi is more reliable and offers a larger range. Both connections are easily set up with the free SoundTouch app, so that music from the device or from Spotify can be played back on the sound bar. This also works while the TV is playing. What I found a bit disappointing is, that at the time I was testing the SoundTouch 300 sound bar was not available in the setup wizard of the app. This was also missing from the manual. But don't let this stop you – it still works! For Wifi connection the device needs to be switched to setup mode by pressing the SoundTouch button. Then the sound bar will create a temporary wifi network, to which you have to connect your smartphone. Then setup is finished through the app. Thanks to the Bose remote you can for example skip through the titles of a Spotify playlist. This is really convenient, as you don't have to permanently fumble around in the app. Of course you can also use it to pause playback. I am explaining the details of the app in a separate article, where I also go into the details of Bose SoundTouch controls. It is really worth a read, as I also explain multi room functionality here. Originally, the system sounds convincing. Mids and highs are very clear. There is no overdrive and no distortion. The drivers on the side are providing panoramic stereo sound and the system is absolutely sufficient for most purposes. I was skeptical at first, but it really sounds good. There is even a noticeable bass without additional subwoofer. There is a BASS-button on the remote, when you press it the four LED lights on the sound bar are showing the bass level which can then be increased or reduced. If you were afraid that you would need the optional subwoofer then rest assured, the sound is really full and rich even without it. All in all the sound bar can be set to a very high volume level, but this will become a bit tiring for the ears and the bass volume will be slightly behind. There will still not be any distortions though and my sound bar, which was placed on a glass shelf, produced only very little vibrations. 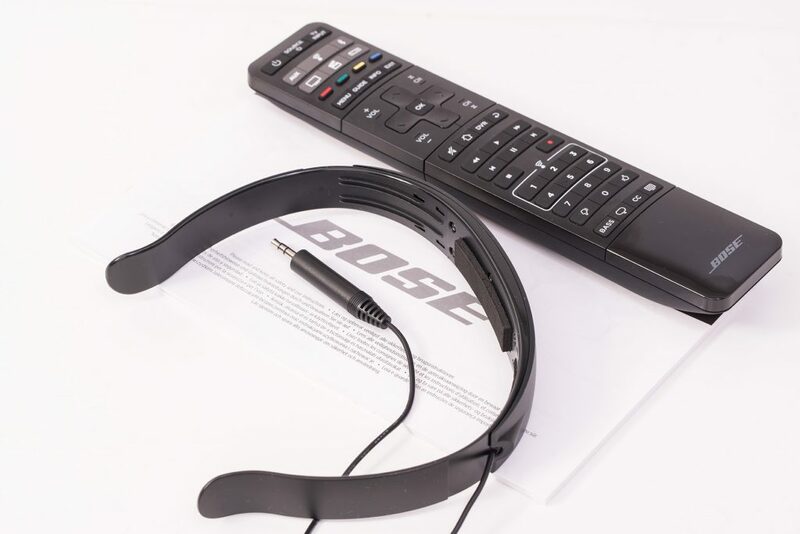 Some Bose products have extraordinarily stable pricing. The Bose Wave SoundTouch and the SoundTouch 300 sound bar are among them. The price might be relatively high, but I find it justified when looking at the performance, the convenient handling and the included equipment. The price will really go up when rear speaker and/or subwoofer are added – in my opinion the subwoofer is not needed. The sound bar comes with a really strong bass! This should suffice for the average user. Those who prefer a bass level that makes their sofa explode should definitely go for the subwoofer option, though. For all bass enthusiasts there is a set with subwoofer and rear speakers available for quite an upcharge. An extraordinary sound bar with outstanding sound and very convenient handling. The universal remote convinced me, too. This quality does come at its price after all.